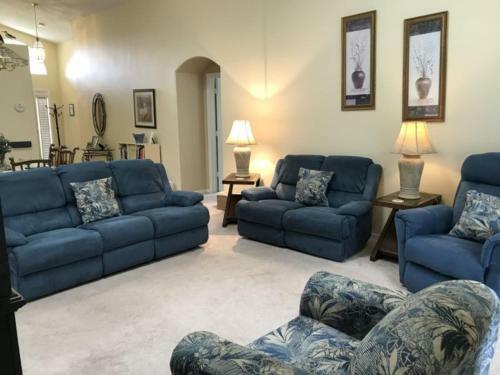 Oneida Habitat 2593 in Kissimmee is a holiday home with 1 room. Featuring a private pool, Oneida Habitat 2593 is a holiday home set in Kissimmee. The air-conditioned unit is 15 km from Kissimmee Value Outlet Shops.... A TV is offered. There is a private bathroom with a shower. 192 Flea Market is 16 km from Oneida Habitat 2593, while Plaza del Sol Kissimmee is 17 km away. The nearest airport is Orlando International Airport, 33 km from Oneida Habitat 2593. When would you like to stay at Oneida Habitat 2593?